GSMArena team, 03 January 2019. 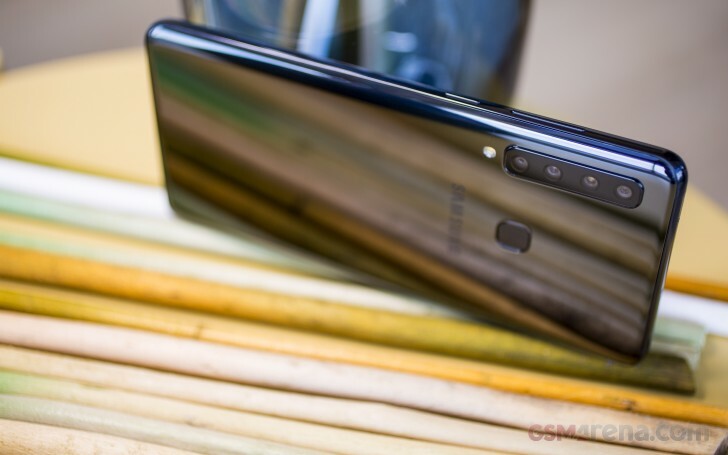 One of the first phones with five cameras on board and, several months after the announcement, still the only one with four on the back - it's the Samsung Galaxy A9 (2018). We set out to discover how well the impressive specsheet translates into real world performance. Sitting on top of the ever-confusing Galaxy A-series, the A9 leaves no doubt it's the best-equipped of the bunch. Of course, it's got more cameras than any other - it adds a telephoto module to the A7's regular/wide/depth configuration. There's 'only' a single cam on the front - the 24MP selfie shooter doesn't get a depth sensor of its own. It's not just the camera count that sets the A9 apart from the rest of the 2018 midrange Galaxy models - it's also got the most powerful chipset. Its Snapdragon 660 outclasses the Exynos chipsets of its lesser brethren and only falls short of the recently announced A8s (which lacks a year designation, so it doesn't really count). The largest display of the A-series is also to be found on the A9 (2018), its 6.3-inch diagonal only bested by that pesky A8s that came out as we were doing the A9's review, so we had to reword stuff here and there. Anyway, the A9 (2018) feature set continues with more RAM than you could possibly need, 128GB of storage that you can also expand with a dedicated microSD slot, and ample battery capacity complete with Samsung's sort-of fast charging - yup, the A9's spec sheet has all the right boxes checked. Display: 6.3" Super AMOLED, FullHD+ 2,220x1,080px resolution Infinity display (18.5:9 aspect ratio), 392ppi pixel density. Chipset: Snapdragon 660: octa-core 4x2.2 GHz Kryo 260 & 4x1.8 GHz Kryo 260, Adreno 512 GPU. Well, we would have preferred Android Pie instead of last year's Oreo, but in a world where the Note9 doesn't have v9.0 of the OS yet, and the S9 only got it as a post-Christmas present, we didn't actually expect it of the A9, of all models. And while we usually avoid thinking in price-vs-performance terms before evaluating a phone on its merits, the number Samsung is asking for the Galaxy A9 (2018) raised a few eyebrows around the office as soon as the phone got in through the door. We'll be quick to go over the lab test results, but not before we have a look at the A9's design.